Charter Yacht Sailing by Elite Yachting offers a wide range of bare boats and crewed yachts to sail the magical islands of Phuket, Thailand, Langkawi Malaysia and Burma. 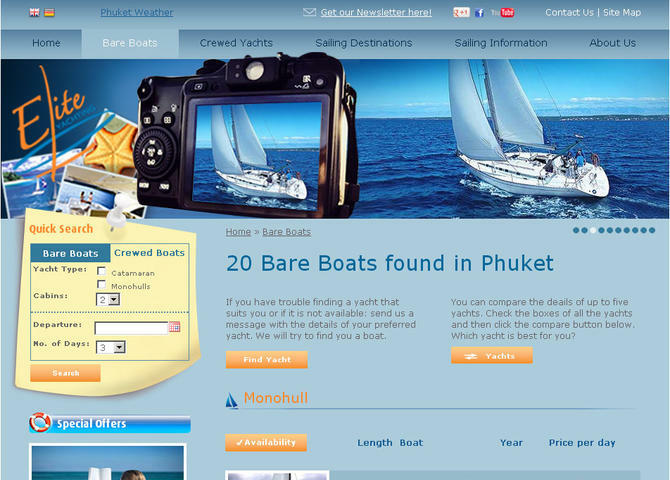 Find comprehensive boat information including pictures & videos, and save money with low charter rates. Visit Phuket Yacht Charter Sailing by Elite Yachting.